Do product images get pushed from a Rewix B2B supplier to my website automatically? Do all new products get automatically pushed from a Rewix B2B supplier to the web site? Can I change product names and descriptions? Does a Rewix B2B supplier also keep the web site updated with real time live inventory levels? Is this active real time or an update to the commerce platform every 5 minutes? Yes, they do. All product images are imported in your shop automatically during product import. No, they don’t. Since a lot of dropshipper want to pick and select which product to import and the want to set proper markup during product import step, you have to manually choose what import, at which price (markup) and so on. In order to know new arrivals you have to follow a Rewix B2B supplier newsletter with all new products. We are working to creare a new service for new products updates but this not yet available. Descriptions are imported as in Brandsdistribution catalog. If you want you can change them by yourself. The sync procedure will affect only product stock. Description will never be changed after first import. Yes, she does. On a Rewix B2B supplier inventories and stocks are updated in real time and quantities displayed are real and effective. Synchronisation between your shop and a Rewix B2B supplier via plugin depends on cron job configured in your shop. In https://app.rewixecommerce.com/my-account/ you have to check new version in “Subscriptions”. 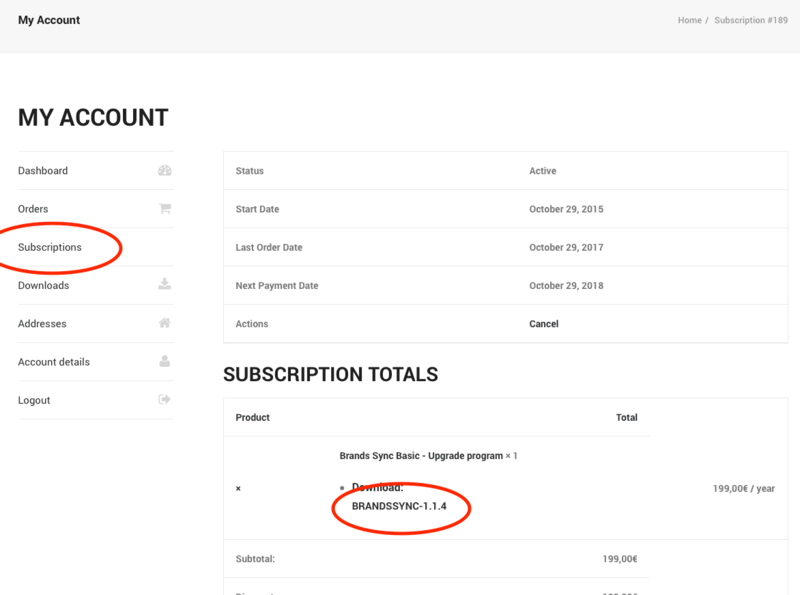 If you have any running and active subscription you will find a download link in purchased product row.